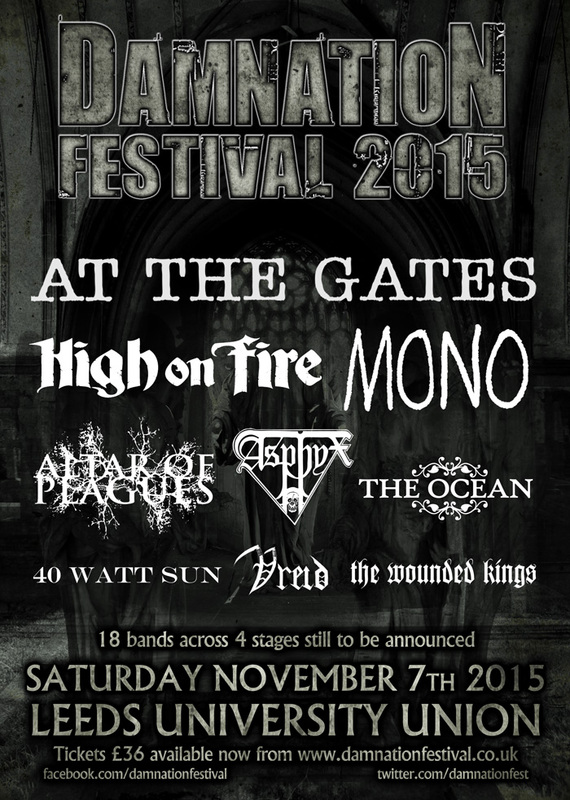 Japanese post-rock masters MONO, Ireland’s enigmatic progressive black metal outfit ALTAR OF PLAGUES, and England’s own doom trio 40 WATT SUN are the lastest additions to Damnation Festival. 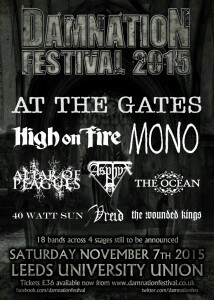 The groups join At The Gates, High on Fire, Asphyx, The Ocean, Vreid and The Wounded Kings at the UK’s finest metal event, hosted at Leeds University Union, on Saturday, November 7, 2015. Altar of Plagues commented: “We are very happy to announce that we will be coming to the UK to perform at Damnation festival this coming November. Ticket prices will be frozen at £36 as a thanks for the continued support from fans over the past decade and capacity will be reduced to allow better movement between the four stages.